The people of Bridgeport, Connecticut have lived under the shadow of the Bridgeport Harbor Station power plant for decades now. This old and inefficient power plant is one of the last in New England that still runs on coal, a dirty and expensive fuel that generates high levels of climate-damaging emissions – not to mention air pollution that threatens the health of local residents. Now the plant’s owner, PSEG Power LLC, wants to replace the coal-fired unit. That should be good news, but they want to replace it with another fossil fuel: natural gas. And that’s a problem, because instead of producing cleaner energy as PSEG has promised, the proposed natural gas addition would actually increase harmful greenhouse gas emissions from the facility – by more than a million tons per year. Such an increase in climate-warming emissions is simply irresponsible at a time when we urgently need to be slashing emissions. CLF is challenging the proposed gas plant’s air permit, and this week, I traveled to Bridgeport to testify at a public hearing of the Connecticut Department of Energy and Environmental Protection. I was there alongside partner organizations and Bridgeport residents to ask Connecticut not to buy into PSEG’s false justifications for the plant, and to argue that allowing the plant to increase its carbon emissions by a million tons per year would violate Connecticut’s Global Warming Solutions Act. We know that PSEG’s proposed natural gas unit will spew 1 million tons of new emissions for a few reasons: As coal has been replaced by other fuel sources in New England, Bridgeport Station rarely has to “turn on” these days. EPA data show us that the power plant’s coal-fired unit has run only about 15% of the time over the past five years. As a result, the coal-fired unit has produced an average of about 550,000 tons per year of the potent greenhouse gas carbon dioxide over that period. The idea of adding a net 1 million tons of carbon dioxide to our atmosphere is, frankly, outrageous and irresponsible. It’s also illegal in Connecticut. PSEG’s proposed natural gas unit, on the other hand could generate up to 1,660,000 tons of carbon dioxide per year when operating at full capacity – according to the company’s own documents. And that is just what PSEG proposes to do with its new unit – operate it at full capacity as a so-called “baseload” unit on New England’s electric grid. The math here is so basic that even my six-year-old daughter could figure it out: replacing a coal unit that currently emits 550,000 tons of carbon with a gas unit that will emit 1,660,000 tons annually leaves us with a whopping net increase of 1,110,000 tons of climate-damaging emissions per year. In seeking permits to build its gas unit, PSEG tried to hide this emissions increase by fudging the numbers. First it inflated the coal unit’s current emissions by presenting what they would be if the unit operated 80% of the time instead of its current 15%. Then it lowered the projected emissions from its proposed gas plant by presenting what they would be if that unit operated only 80% of the time – instead of almost 100% of the time, which is what PSEG actually intends. PSEG claims that this apples-to-apples comparison – of both units’ emissions when operating 80% of the time – proves that the gas unit would be much cleaner than the coal unit. But the reality, as we’ve already shown, is drastically different. A dirty, expensive, coal-fired unit today will not operate anywhere near 80% of the time. The data from the last five years bear this conclusion out. This new gas-fired unit will not operate 80% of the time, either – it will operate more. Impacts from climate change are already in motion, and we need to end our addiction to dirty fossil fuels, including natural gas, now before it’s too late. The idea of adding a net 1 million tons of carbon dioxide to our atmosphere is, frankly, outrageous and irresponsible. It’s also illegal in Connecticut. 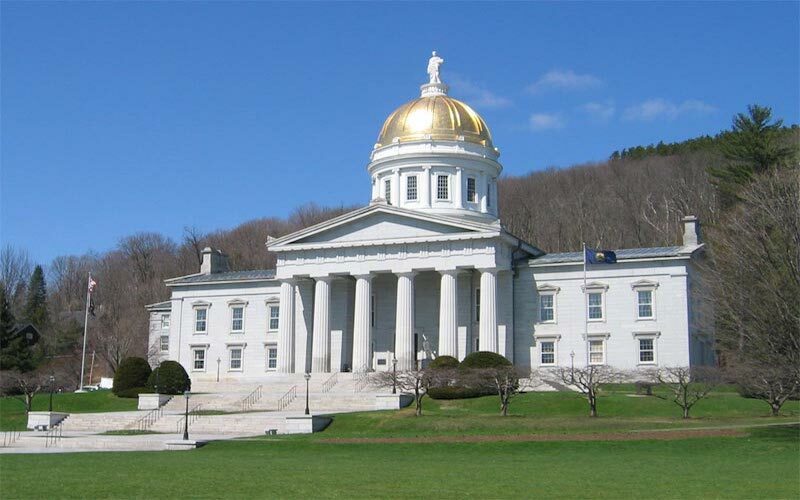 Similar to Massachusetts, Connecticut has a Global Warming Solutions Act, a law that mandates cuts in the state’s climate-warming emissions to 10% below 1990 levels by 2020. The state’s emissions have actually been on the rise since 2012, so it is already at risk of not meeting its 2020 goal. Adding a million tons of new emissions now would make it impossible. First, Connecticut could simply deny an air permit to PSEG, in which case the new gas-fired unit could not legally be built. Or, second, Connecticut could require that the new gas plant commit to annual declining emission limits. So, for example, the new unit could be capped at 550,000 tons per year to start out — that, after all, is the coal-fired unit’s average emissions rate over the past five years. Then that rate could ratchet down to 535,000 tons the next year, and 520,000 tons the year after that, all the way down to zero. Following advocacy by CLF, Massachusetts has begun including these types of emissions limits in permits for its new power plants, and another proposed plant in Connecticut has announced that it will voluntarily adopt a similar plan. A Bridgeport resident speaks up against the proposed power plant at the hearing. At the hearing this week, I told Connecticut that approving a million-ton emissions increase would be illegal – and there’s still an opportunity for you to lend your voice to the process as well! The Department of Energy and Environmental Protection is accepting comments on the proposed plant’s air permits until this Friday, March 10. Tell Ms. Howard that PSEG’s proposal to add 1 million tons of climate-damaging emissions to our atmosphere is illegal and will not help Connecticut to achieve its climate goals. Ask the Department of Energy and Environmental Protection to reject PSEG’s air permits. As atmospheric carbon dioxide continues to tick up, standing against new carbon polluters like the proposed Bridgeport natural gas unit gets more important every day. Thank you for making your voice heard. Read my testimony from the hearing of the Connecticut Department of Energy and Environmental Protection here.